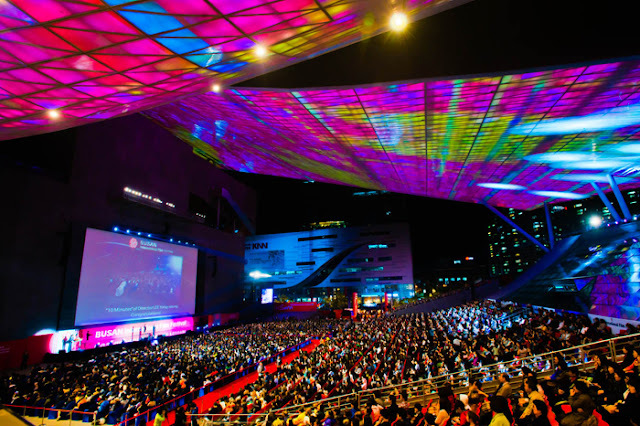 [KFestival] Festivals in October 2015 Part 1 - 짱이뻐! Online reservatoin is available from the followings. Jinju Namgang Yudeung Festival originates from the lantern lighting custom used during the Jinjuseong Fortress Battle of the Imjinwaeran War (Japanese invasion, 1592) as a military strategy to prevent Japanese troops from wading the Namgang River. The highlights of the festival are the floating of lanterns carrying personal wishes of the citizens along the Namgang River, and the parade of lanterns created by the students themselves. 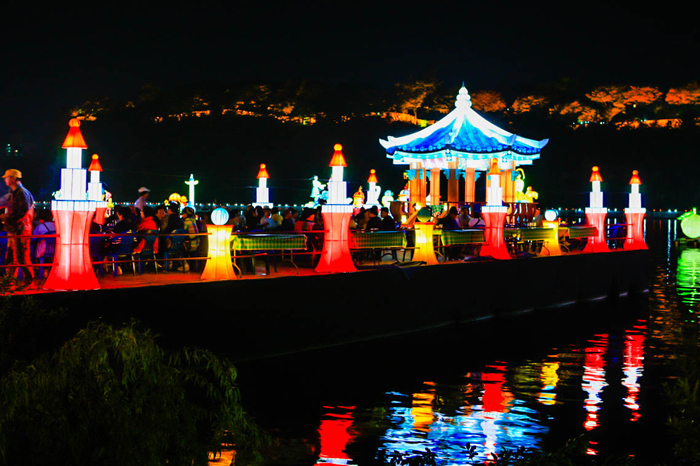 In addition, the festival features gaejesik (lighting of lanterns in remembrance of the Jinjuseong Fortress Battle veterans), an exhibition of the world’s traditional lanterns, and many more participatory cultural programs. Subsidiary EventsFireworks show, Namgaram Get-Together (outdoor performance), local traditional food & specialty shops, etc. Take an intercity bus to Jinju Intercity Bus Terminal. Exit the terminal towards the river. Turn right, and walk for 5min to arrive at the festival site. The Geumsan Insam Festival is held annually in Geumsan County (Chungcheongnam-do), the largest producer of ginseng in Korea. Growing both in content and in size, the festival was selected as a cultural and tourism festival by the Ministry of Culture, Tourism, and Sports in 1996 and became established as a national festival. With the rising popularity of the festival, the marvelous effects of Geumsan ginseng have become known throughout the nation, drawing an increasing number of local and foreign tourists every year. The festival also holds special exhibitions and sets up booths where people can try some of the various health therapies. Aside from the exhibitions, exciting events, performances, and delicious food are sure to please visitors. * For more details about the festival programs, visit the festival’s website. From Seoul Express Bus Terminal, take an intercity bus to Geumsan (금산), approx. 2hr 40min travel time. Pung-gi ginseng is only grown in the Sobaeksan Mountains and is widely known for its superior quality. 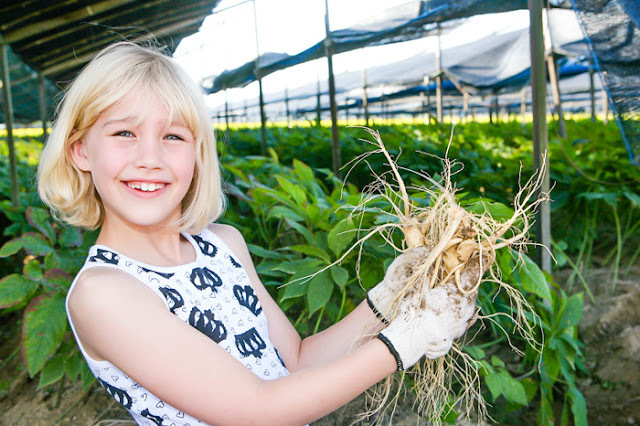 The reason Pung-gi ginseng is so highly valued is because of its high content of saponin, which is effective in regulating blood pressure and reenergizing the body. It is even believed to help reduce the risk of cancer. The Pung-gi Ginseng Festival coincides with the peak of the harvest season each year, which takes place around October. During the festival period, visitors can participate in various events, such as harvesting ginseng and sampling cuisine made from the expensive Pung-gi ginseng. There are also many other tourist attractions located in the Yeongju region, including Buseoksa Temple and Sobaeksan Pung-gi Hot Springs. Ginseng rituals and ceremonies, harvesting Pung-gi ginseng, Pung-gi ginseng peeling contest, ginseng auction, hands-on events, etc. Find more information from the event's website. Across from the Yeongju Intercity Bus Terminal, take Bus 22 or 27. Get off at Punggi Station (풍기역) or Punggi Taxi (풍기택시) Bus Stop. The festival venue is a 5-min walk from the bus stop. Byeokgolje, the largest irrigation facility in the world, built 1,700 years ago during Baekje (King Biryu, 330), is embraced by the city of Gimje. Thanks to Byeokgolje, the area of Gimje is the birth place of Korea’s rice farming and agricultural culture. During the Baekje period, it was called ‘Byeokgolgun’ (a village of rice) which came from the fact that this area was the first area to start rice farming. 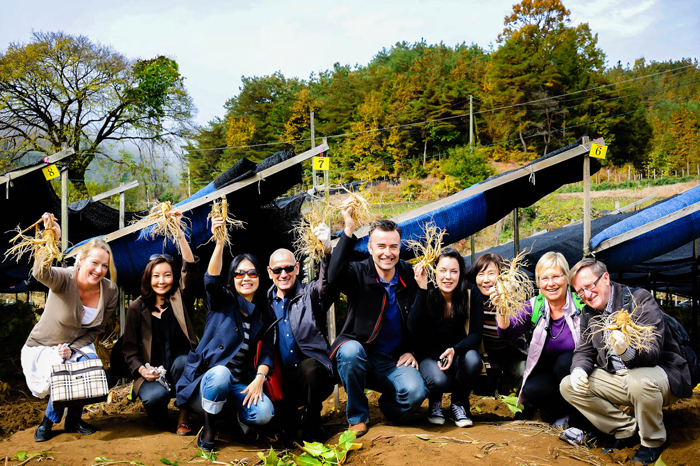 During the festival, domestic and overseas visitors can take part in various hands-on programs feeling Korean farming culture in Byeokgolje (Historic Site No. 111). Visitors of all ages can easily take part in these programs to educate, inspire, and enjoy with a theme of spacious plains to the horizon. 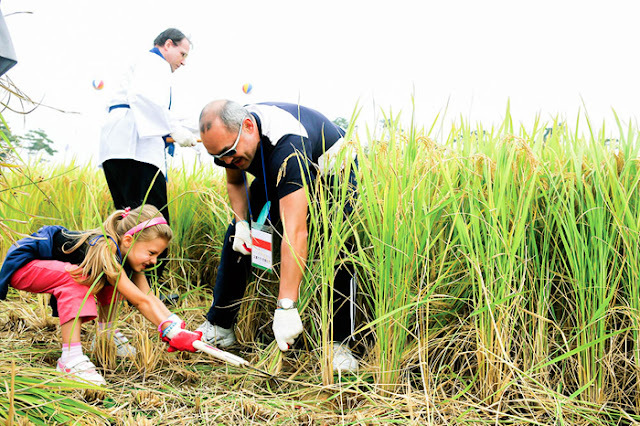 Events include kite-flying, rice-farming, catching grasshoppers, Korea Straw and Plants handicraft, making rice over an open fire, and other activities to entertain visitors. 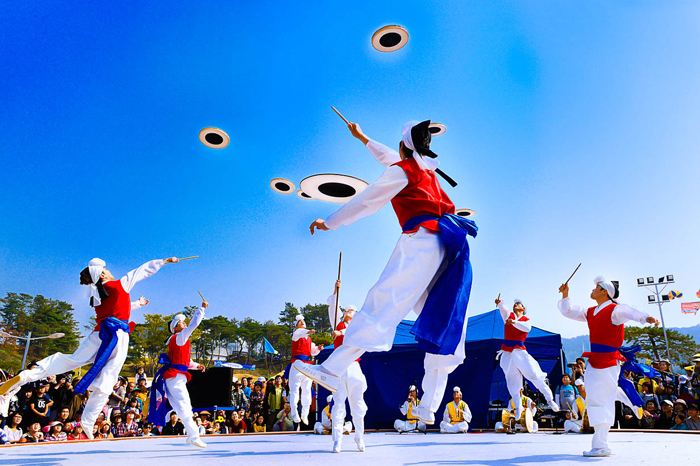 Namsadang Baudeogi Festival, a popular culture and art festival, will be held in the hub of art and culture in Anseong. Since it first started in 2001, this festival has been promoting the preservation of the tradition of Namsadang (troupes of entertainers who traveled around the country). It also became the official festival of CIOFF (International Council of Organizations of Folklore Festivals and Folk Arts) in 2006. Based on the Namsadang Baudeogi, Anseong World Folkloriada (안성세계민속축전) is considered as the most successful festival ever, drawing seven hundred thousand visitors. 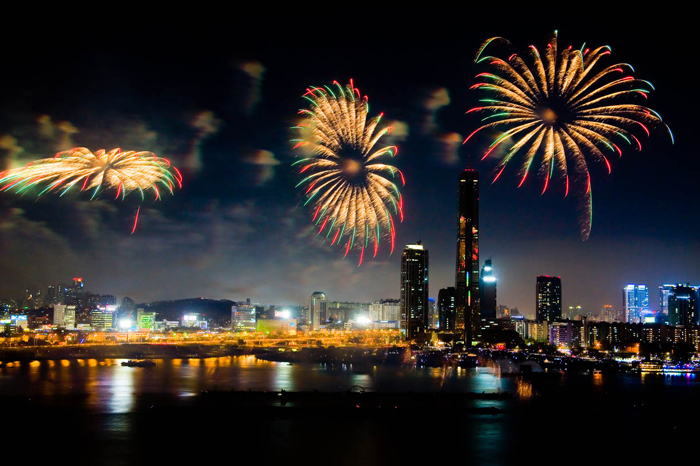 In 2013, It has been renamed as the Anseong Namsadang Baudeogi Festival and will be held at Anseong Matchum Land. During the festival, visitors can look forward to parades, performances, hands-on activities, exhibitions and contests. Programs include a Baudeogi (leader of one of the best Namsadang groups) memorial ceremony, parades, an opening ceremony, special autumn events, guerilla performances, the Anseong citizen Beona dolligi (dish spinning), themed village and connecting farm village experience programs, etc. Pyeongtaek Station (Seoul Subway Line 1). Take Bus 50, 55, 55-1, 70, 370, 370-1 or 380. Take a taxi from Anseong Terminal to the venue (Anseongmatchum Land).